Fast, Fun and Useful, these in the hoop Hand Warmers are perfect for craft shows and stocking stuffers. 2 Sizes included, Adult and Children. Perfect SCRAP BUSTER design. 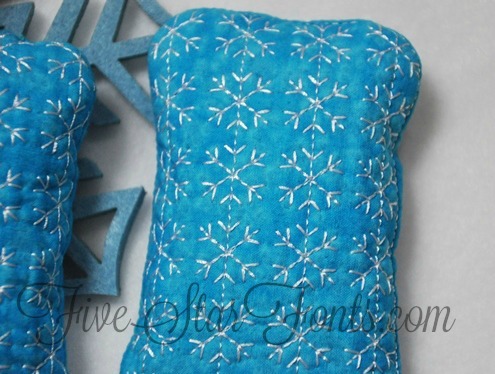 Make them from cotton, flannel or fleece. 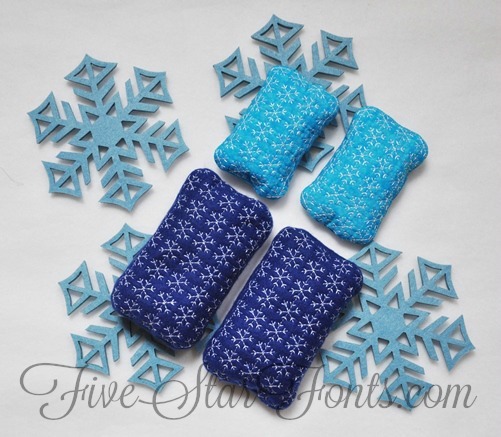 Use plain fabric and the beautfiul snowflake quilting pops. Or use the included blank to add your own design or saying or name. 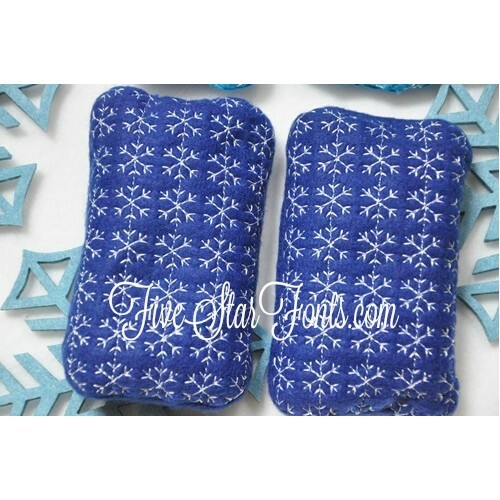 We include both sizes in different configurations. You can make 1 small in 4x4 hoop, 1 large in 5x7 hoop, 2 small in one 5x7 hoop and 2 large in one 5x7 hoop. 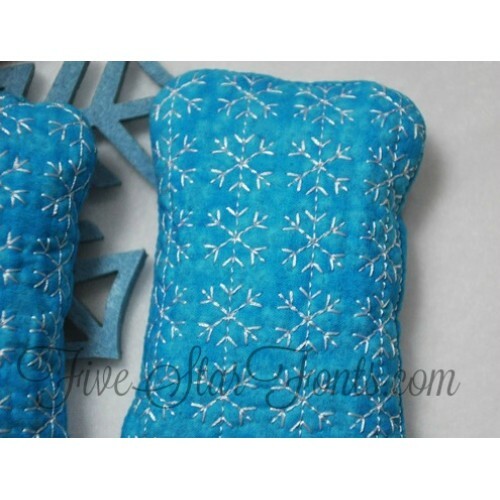 Use themed fabrics and give them as quick and easy gifts. 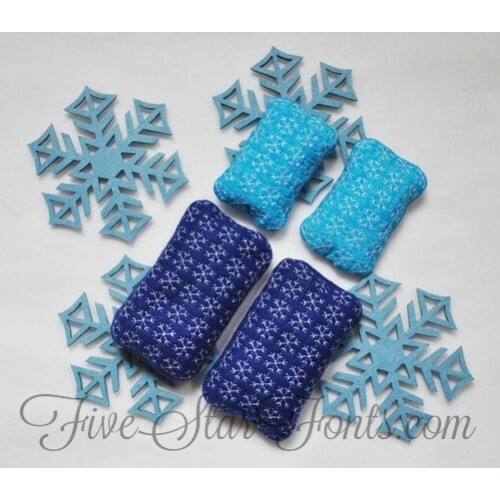 Perfect for teachers and all of your other holiday or anytime gift giving. These will slip into a stocking nicely! 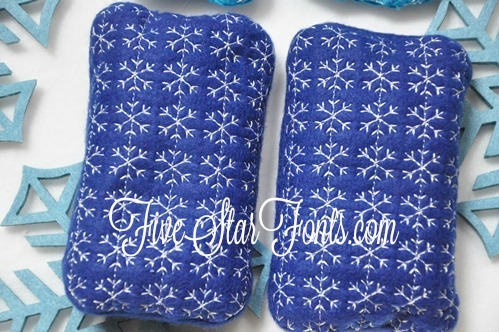 You can use these in pockets, inside mittens to warm them, inside boots so you don't start your day with cold feet, very versatile design! ** Just a wee bit of whip stitching to close the opening. ** Lightning Fast - these stitch up in about 5-10 minutes.